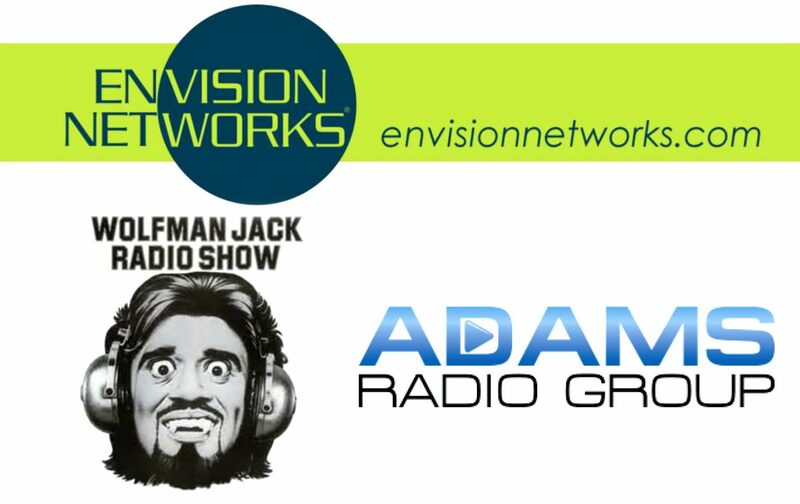 (August 2018) – Envision Networks® Wolfman Jack Radio Show is howling into the moonlight once again with Adams Radio Group on KWML-AM 570 / 104.5 FM Las Cruces, WOCQ-HD2/ (105.1 and 104.3 FM) Salisbury and WQTL-FM/ 106.1 FM Tallahassee. The Adams Radio Group stations will be the exclusive affiliate in these markets to air the original, legendary Wolfman Jack Radio Show for listeners to fall in love with all over again. Radio stations can broadcast the original shows or may choose to incorporate Wolfman Jack’s zany antics with their own music playlist and use the show actualities to run as a shorter weekly program or as a daily show. As part of the package, affiliates also receive the two-hour specials: the Wolfman Jack Halloween Party and the Wolfman Jack Christmas Party. For more information on The Wolfman Jack Radio Show or any of our show and service offerings, contact us at 216.831.3761 or [email protected]. For further info about the Wolfman check out www.WolfmanJackRadio.com.